Keyboard stand for heavy duty use! 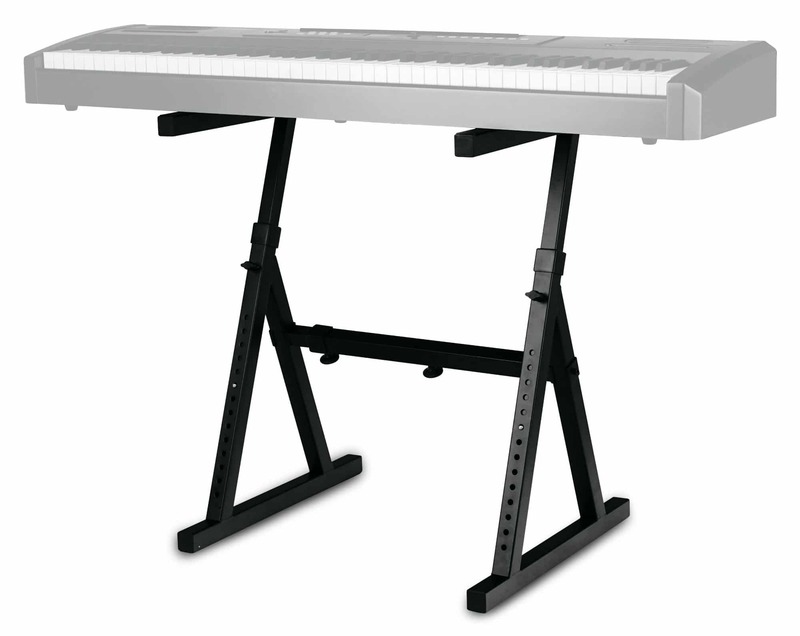 The new Pro Delta Heavy from Classic Cantabile delivers a professional keyboard stand with stable components and clean workmanship, which you would not expect in this price range. 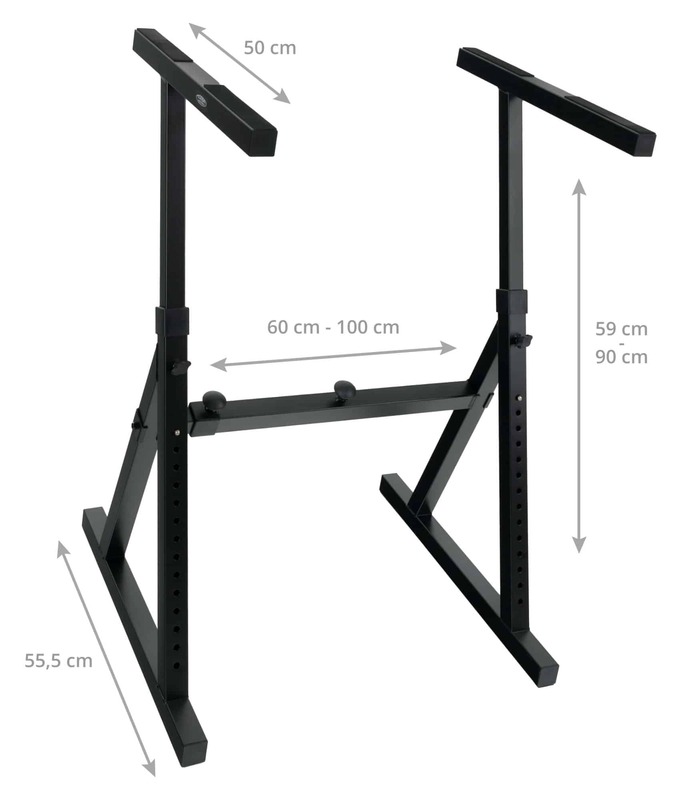 The keyboard stand consists of three parts, which are fixed in place easily with the help of the included Allen key. 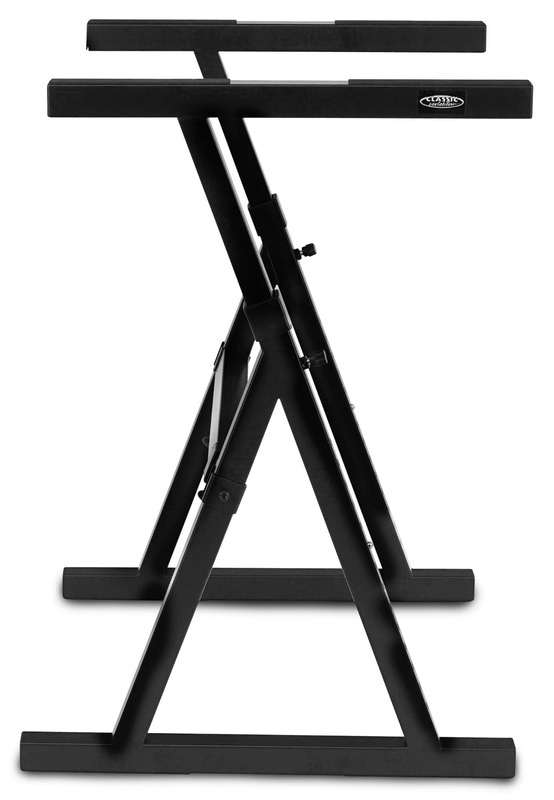 When unassembled, the Pro Delta stand can be stowed to save space or transported in the car. 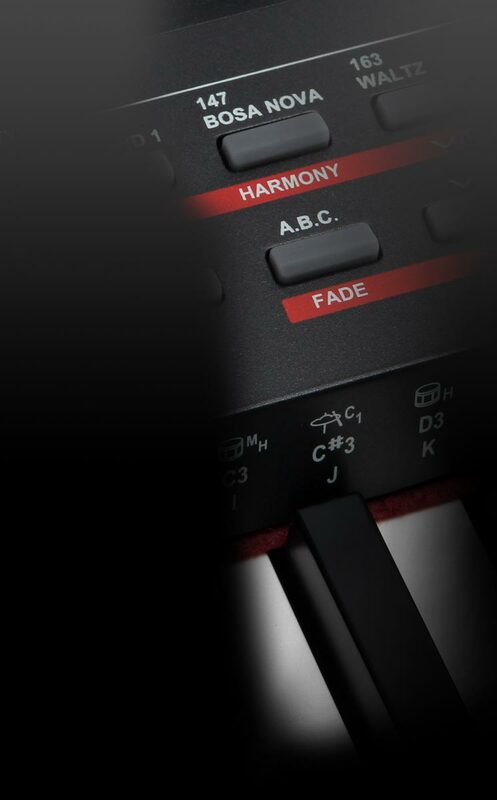 secure placement – even with large and heavy stage pianos. Foam rubber pads on the top ensure a secure hold of the keyboard without wobbling or slipping. Your keyboard has never been so secure. The very stable workmanship with 35 mm square tubes carries heavy loads (like keyboards) without worries. 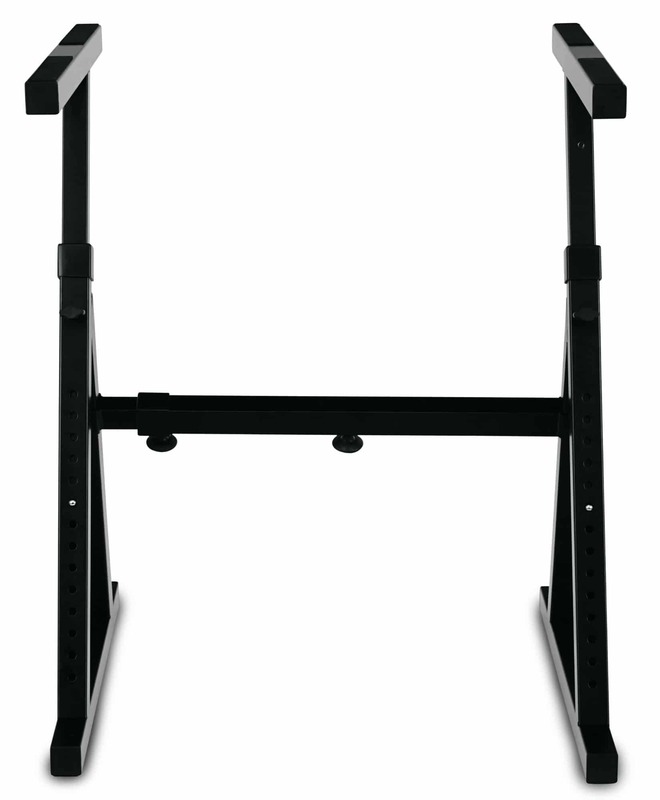 Foam rubber pads on the feet also protect the stand from slipping. 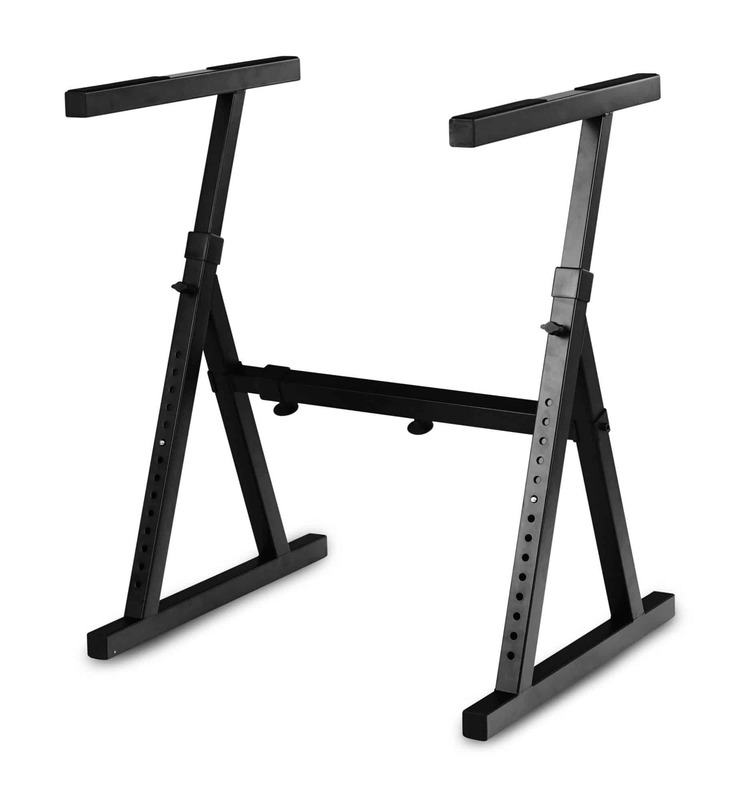 Keyboards and stage pianos aren't the only things in good hands on this heavy duty stand. 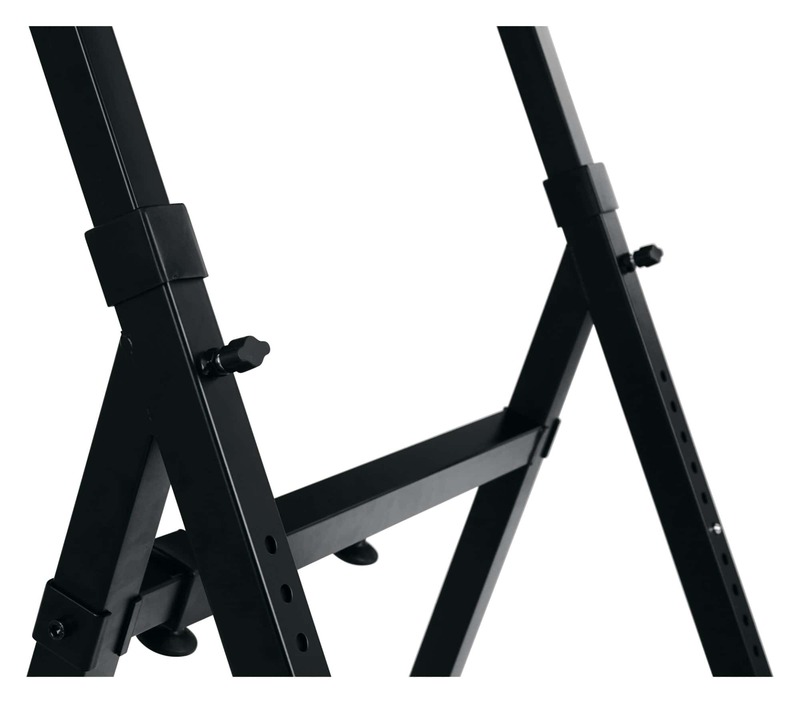 Weights of up to 80 kg (like large mixing consoles) are safe on the 55 cm long support arms. Thanks to the design, you also have maximum legroom: all footswitches, buttons and pedals can be conveniently positioned on the floor with room to spare. Classic Cantabile Pro Delta Heavy - stable stand for heavy duty use!